Dorothy Bird, a Crow Creek Sioux, holds a photograph of her grandfather. 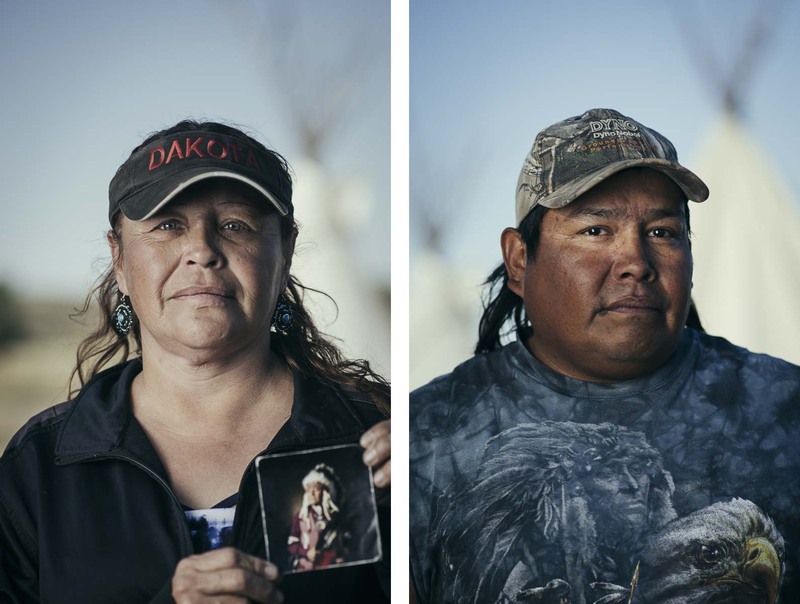 For the Dakota, the fight at Standing Rock goes deeper than the pipeline with a history that has affected generations. James Sazue, also of Crow Creek, says, "A lot of people didn't think they would ever see this happen again. The last battle."